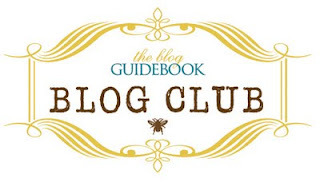 Like a book club for blogs. Here are my fellow club members. What I love about this is they (the creators of the blog club) set everyone up with a group of blog members that write or keep blogs that are very different from each other. It expands the blog reading horizon. If you are interested in getting feedback, meeting people or just stretching your blog knowledge then you should check it out (click the blog club button above). Also, vote for us by clicking the button below...two easy clicks to vote. Thanks!